If you haven’t worked with Polymer clay before, then you’re missing out. It is much simpler than I had expected, and there are so many possibilities. 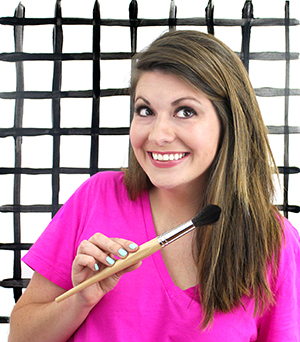 I shared beginners’ tips for working with Polymer clay when I first “discovered” it last year. I wanted to make some gift tags/ornaments to put on Christmas gifts this year. I know that you can make ornaments like this out of salt dough, but I wanted them to be smoother and sturdier so I used Polymer clay. 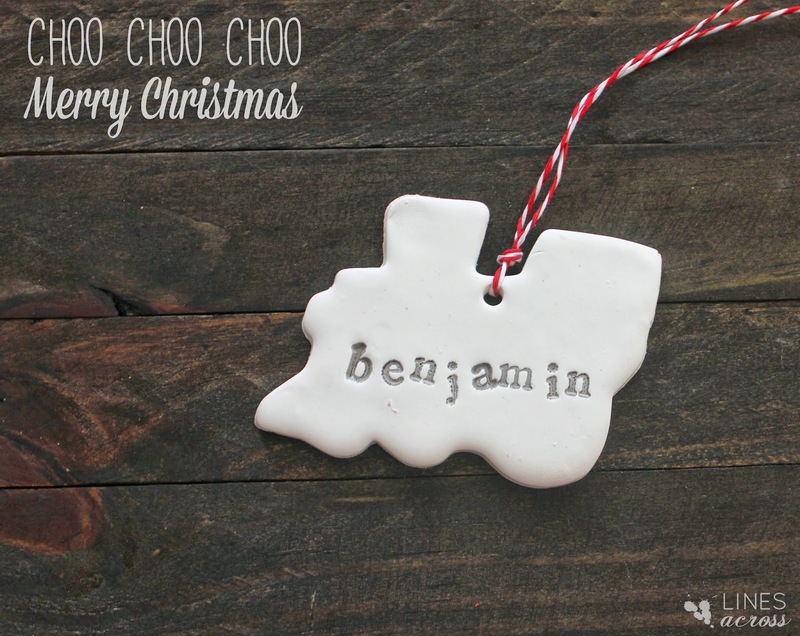 I made this train ornament for my son Benjamin who is obsessed with trains. 1. Knead your clay until it softens. It can be really tough at first. Roll it out to a thin flat layer. 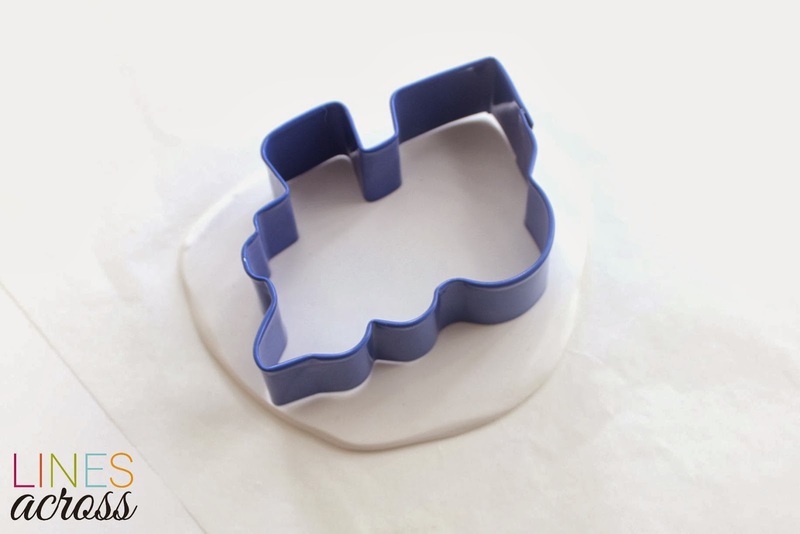 Place your cookie cutter onto the clay and push it down a little bit so that there is an outline left on the clay. 2. Gather your stamps for all of the letters you will be using. Make sure they are clean. I used black stamp ink. It lightens a little bit when baked, but it still is nice and dark against the white clay. 3. 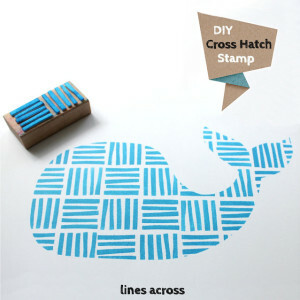 Dab each letter on your stamp pad, making sure that you don’t get any ink around the edges of the stamp. If you do, it will show up as a circle around your letter. 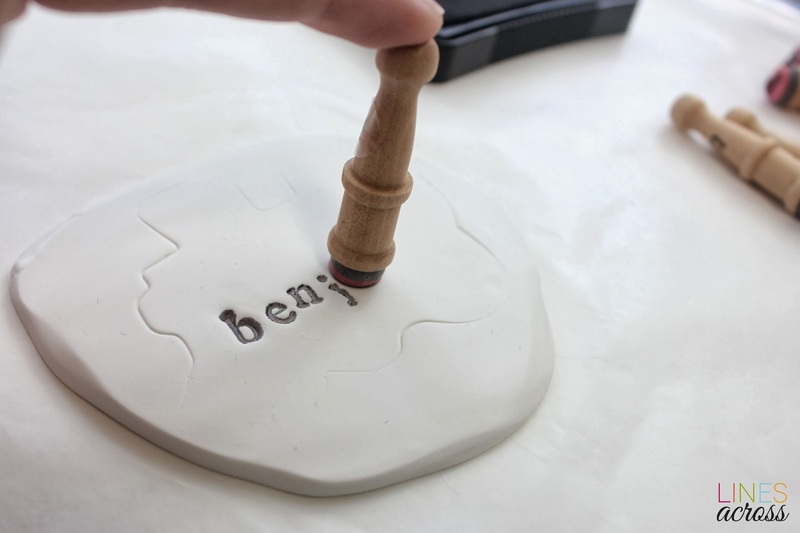 Gently press down on the stamp into the clay until the top of the stamp reaches the surface of the clay. Don’t press any further. It may be worth it to test/practice a few times on a little piece of clay before you start. 5. Let it cool fully before doing anything else. Add ribbon or twine. 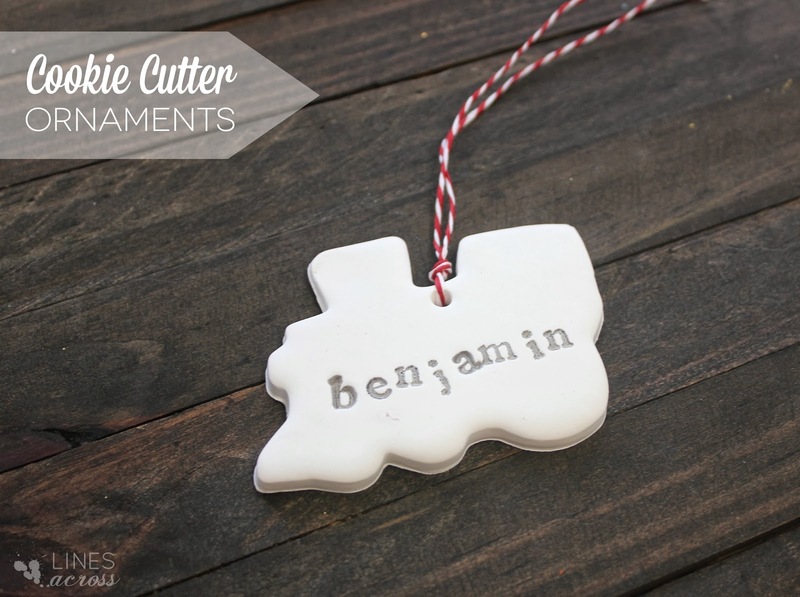 You can make them just as ornaments, or also use then as gift tags that double as ornaments. 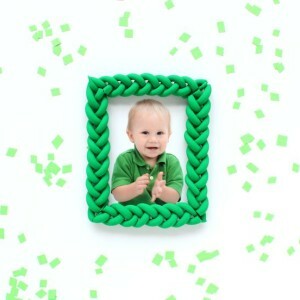 This post was originally a guest post at Design Dazzle. Thanks, this is great. I plan on doing this with stars and putting on the names of Christ, or other Christmas words like Noel. Plus, this would be easy to add some sparkle too also if desired. Great ideas! There are definitely a lot of fun possibilities. I have 2 sets of alphabet stamps and don’t like either of them. What are you using in this project and WHERE can I buy them? I know what you mean! Some of them don’t look quite right when you use them. I actually bought these letter stamps a couple of years ago and I think I got them at Michael’s. I’ve also gotten a couple other sets of letter stamps at Michael’s that I really love, and I got one set in the dollar spot at Target one time. Oh, I love this! And we even have that exact cookie cutter. 🙂 I'll be sharing this on the Play Trains! Facebook page soon. 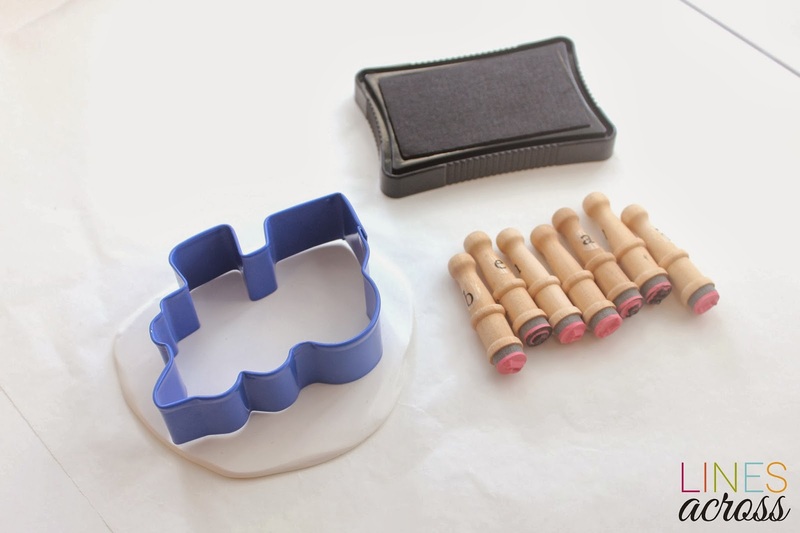 Another reason to buy polymer clay AND awesome cookies cutters! On my to-buy list! 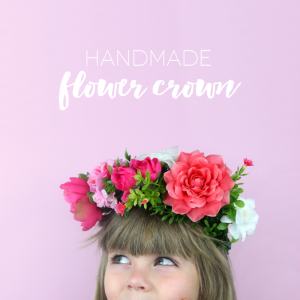 I can't wait to make some of these! !